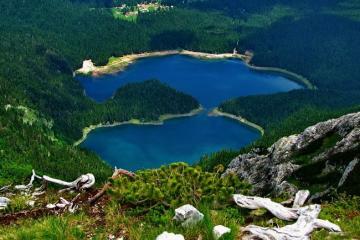 Exquisite combination of what Montenegro is all about – sea and mountain experience in one breath! Starting from Kotor this tour takes us high above the bay, passing winding Old Austro-Hungarian road from 19th century and revealing breathtaking scenery below. NP Lovćen depictures Montenegro above the clouds, and with climbing 461 step to the Lake Peak, feels like being on top of the world! At the altitude of 1.660 meters we visit the tomb of the greatest Montenegrin ruler Njegoš and admire the wide horizon showing 70% of Montenegrin land. 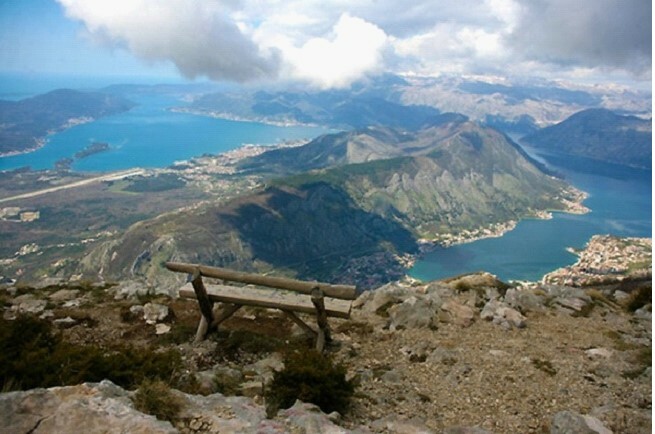 From the peaks of Lovćen, we go down to the seaside for a walking tour around the city, visit to the Maritime Museum and St. Nicholas church in the Old Town of Kotor. 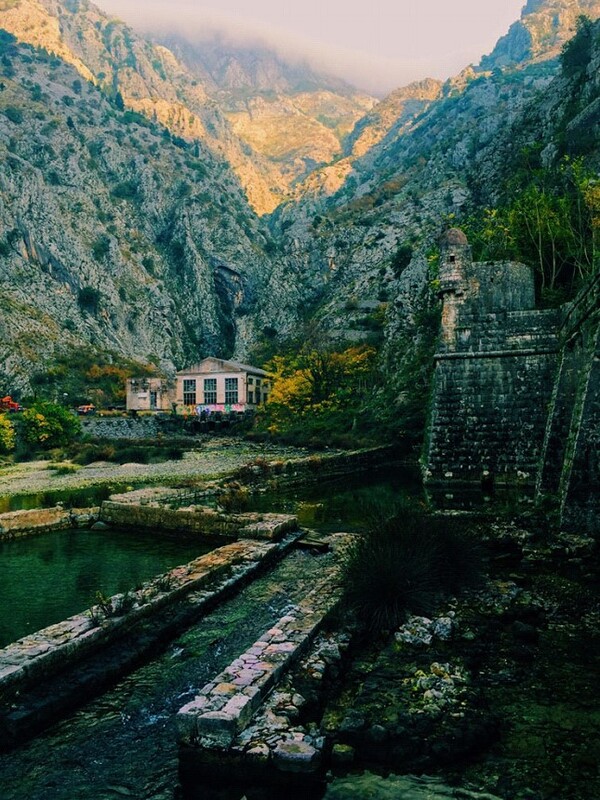 Starting from Kotor we take the famous Old Road constructed in 1879-84 by Austro-Hungarians with ambition to connect Kotor and Cetinje (Old Royal Capital of Montenegro). Being very narrow and winding with its 25 serpentines (sharp curves) it represents unique attraction and adrenaline rise as we get higher. 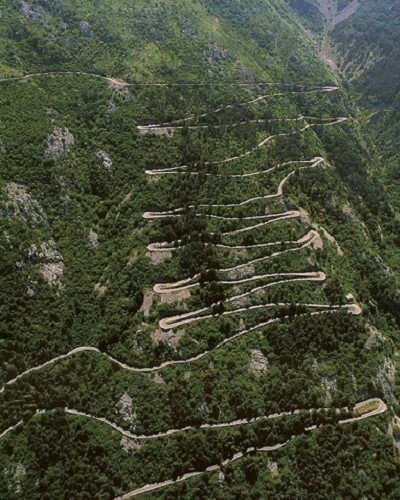 Once a year a short part of this road is used for racing in the Montenegrin car racing championship. During our drive up and crave for a stunning view, we make quick photo-stops at two mind-blowing vantage points of gorgeous Boka Bay – at 5th and 25th serpentine. 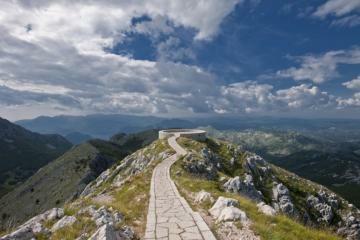 We continue towards Lovćen peaks. In order to conquer this “Sea of rocks” we will drive through the National Park of Lovćen and reach the well-known Lake Peak located at the altitude of 1.660 meters. 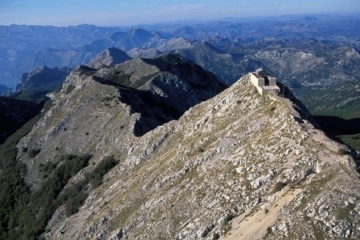 On top of the second highest peak of Lovćen sits imposing and officially the highest mausoleum in the world - where the greatest Montenegrin ruler and poet Petar II Petrović Njegoš rests in peace. After climbing 461 step to reach it, we finally get to see huge statue of the ruler made by worlds known sculptor Ivan Meštrović. 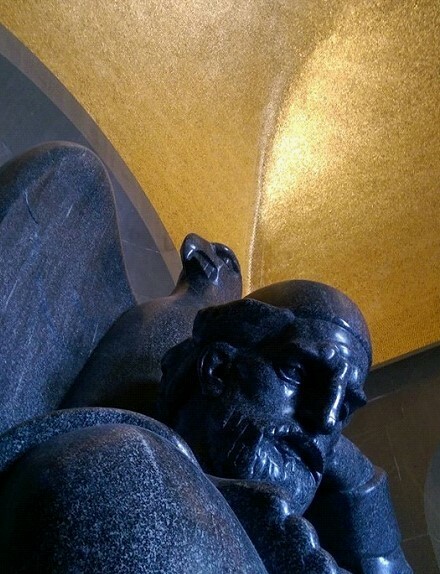 This art masterpiece was made of one piece of granite which originally had 50 tones! When the statue was finished in 1974. it was is 4 meters high and 29 tones heavy. Ceiling is covered with 220.000 golden pieces that together make one spacious, 18 kg heavy golden mosaic. As we leave the mausoleum on the other side, we discover bird-eye-view vintage point with the best possible view of 70% mountainous and rocky land of Montenegro. Time to capture famous jumping photo! 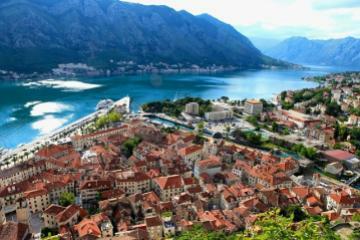 After visiting this astonishing elevation, we drive back to Kotor through winding roads and rocky landscape. Hidden beneath the Mountain of Lovćen, in the heart of the breathtaking Boka Bay, this jewel of Adriatic is unmatched in its beauty that is represented through assimilation of different culture influences whose signatures are more than visible even now. Join us on this tour and help us to reveal all secrets that are lying around! 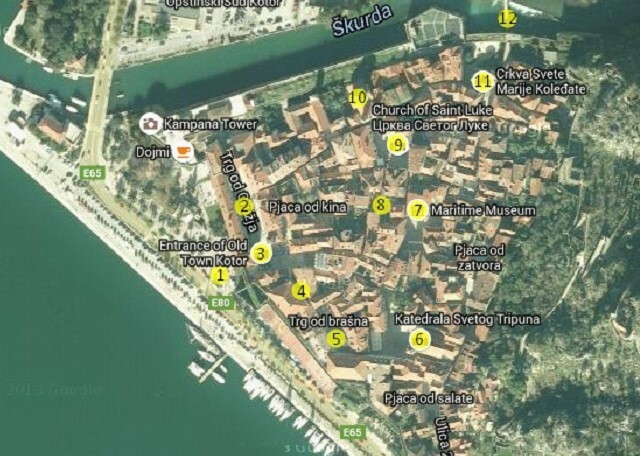 Our walking tour Kotor starts in the front of the main gate (1). 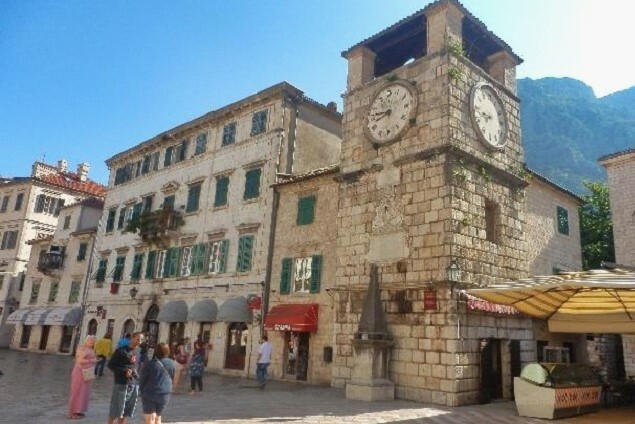 When we enter the Old Town, first we’ll step on the main town square better known as the Arms Square (2), recognized by a Town Clock Tower (3) which dates back from 1602. By the tower facade there is a pyramidal pillar, a pillory, a testimony of the moral as well as legal norms respected in the town. On your way to Flower Square (4), we pass beautiful baroque architecture which reflect in monumental palaces of families Bizanti and Beskuća (5), followed by the great story and legends about those noble residents. 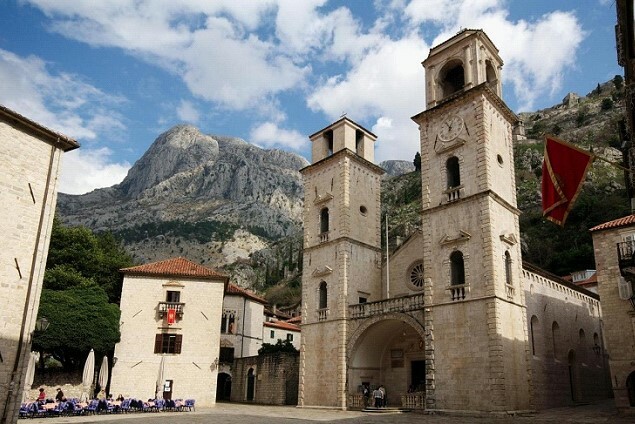 Near the most beautiful palace in Kotor – Pima we find the true diamond of this town - Cathedral of St Tryphon (6), built in honor of the St Tryphon, patron and protector of the city, on the same place where older church, dedicated to the same saint existed from 809. We proceed to the Maritime Museum (7), place with rich collections of exhibits that represent sailing history of this area and the way of living as well. 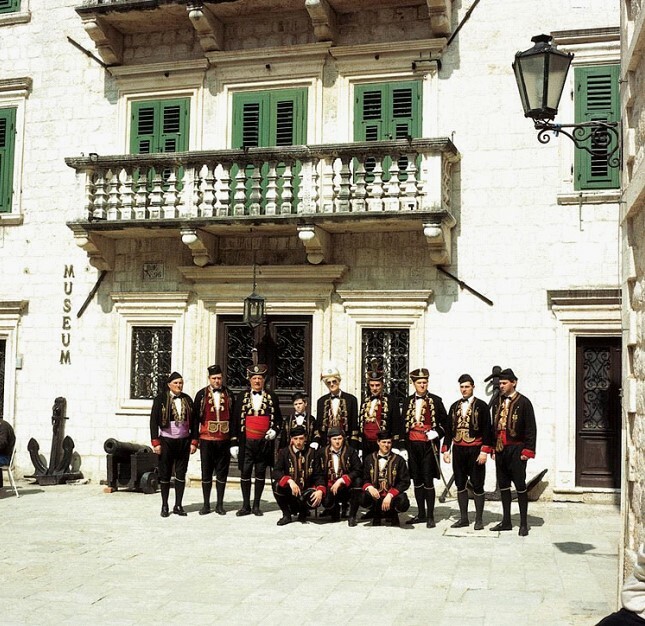 Maritime Museum is a “must see place” in Kotor. 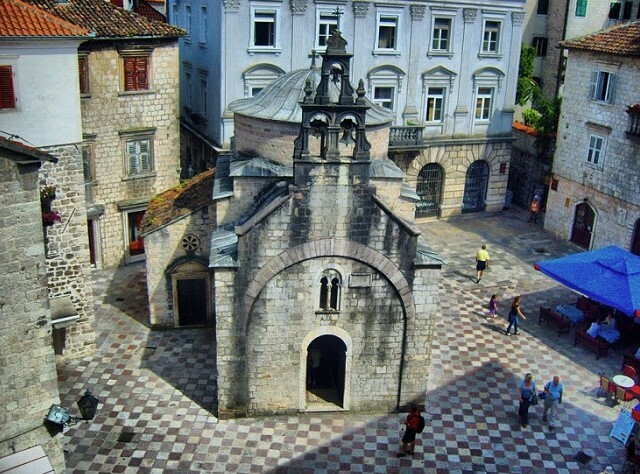 Decorated with original furniture of noble families, models of ships that were used for trade and battles, large collection of guns and swards will show the important role of Kotor during past centuries. Path leads us to the Church of Saint Luke’s (8) that originally used to be a Catholic school, but it was given to Orthodox believers for use and it represents a testimony of the harmonious co-existence of Catholic and Orthodox people. On your way to Saint Luke’s church, we pass by Karampana square (9). Right next to Saint Luke’s is Saint Nicholas Church(10) (built in 1909.) 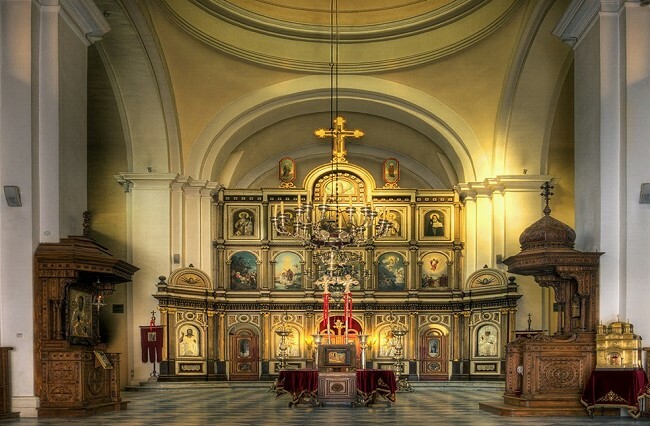 which possesses a rich collection of icons and a beautiful iconostasis made by Cigler, a Czech artist. Church of Saint Mary (11), built in 1221, on the site of a 6th-century basilica, is not something you want to skip. This Catholic Church is distinguished by impressive 20th-century bronze doors covered in bas-reliefs, a particularly gruesome larger-than-life crucifix, and a glass coffin containing the body of Blessed Osanna of Cattaro (1493–1565). She was what is known as an anchoress, choosing to be walled into a small cell attached to a church so as to devote her life to prayer. Soon we come to another gate and the end of our tour. North Gate of Kotor (12) was built in in remembrance of the battle against Ottoman Empire that occurred 1539; one year later gate was built. 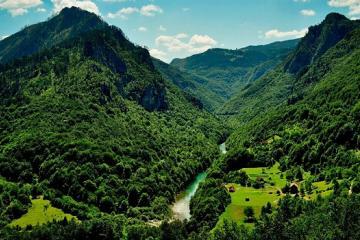 From that point you can see the shortest river in Montenegro, Škurda. Overall our tour was excellent. 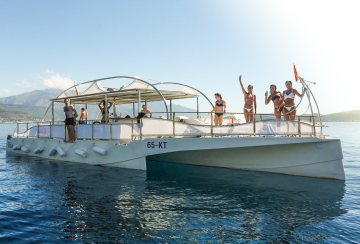 Unfortunately, our cruise ship was late getting approval to tender to shore - so this put a bit of a time pressure on our excursion... To make the tour experience better, I would have the following tips: 1. Level set to the group up front in terms of what is going to occur on the tour and when. Since we were on a cruise ship and had booked a lot of tours in advance...the details of each excursion were not fresh in our minds (and/or some of our group didn't really know what I had signed them up for). So a recap of the day, the timeline - what not to be missed etc - would have been great. The Lovcen part of the tour was fantastic...but unfortunately, we didn't really know what was up top to be incented to climb...so a couple of our group members stayed behind because they really didn't know what was at the top (and how great the experience of seeing it was)...and a couple stayed behind because they could not manage the stairs (which was fine - and expected). But if our guide had told us that this was not to be missed, I believe that the 2 (able) folks would have come up. Also, because we didn't know how much time we would take to climb and explore - our folks who stayed below didn't go into the restaurant for a drink...because they were not aware of the timeline. 2. Find a way for your drivers to have parking close to the old town. Our group had to walk a fair distance from the parked car to the old town...which just added additional stress to our timeline worries. Thanks Slobodan. It was a great private tour. At short notice, Luka and Marko arranged this wonderful trip for us. An exhilerating drive to 'the top of the World'. This tour was made special by an exceptional guide. Caring, polite, knowledgeable and passionate about his country. It was a pleasure to spend five hours in the company of Veljko and learn so much about the Montenegrin way of life. A truly memorable day and well worth the money.